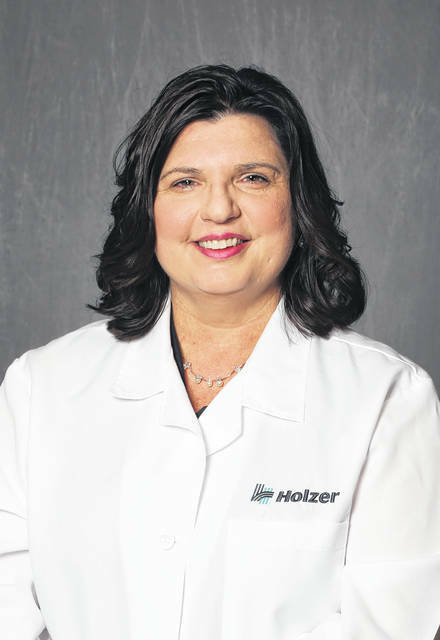 POMEROY — Mary Brown, FNP, Primary Care, has joined the team of providers at the Holzer Meigs Clinic location. Brown received her education at Hocking College, Nelsonville, Ohio, her bachelors in nursing from Ohio University in Athens, Ohio, and her masters in nursing from Walden University. She is a member of the American Association of Nurse Practitioners. Prior to joining Holzer, Brown gained experience in long-term care, rehabilitation, pediatrics, intensive care, primary care, and case management. In addition, she was a volunteer nurse for Good Samaritan Clinic for more than ten years. Brown and her husband, Jeff, live in Racine, Ohio and have one son, Shannon. She is a native of the area, being born on a family farm in Chester, Ohio. Her hobbies include equestrian trail riding and gardening. Brown is a supporter of the Make A Wish Foundation and The St. Jude’s Children’s Research Hospital, American Heart Association, and the American Cancer Society. Brown is accepting family practice patients at the Holzer Meigs location in Pomeroy, Ohio. For more information, or to make an appointment, call 1-855-4-HOLZER.